When purchasing a new or used car from a dealership, consumers have been traditionally wary of sales people. The terms used by the sales people and included in the contract for the vehicle are often difficult for individuals to understand. Nevertheless, contracts are signed without a full understanding of the terms of the contract. Our Oklahoma City auto fraud lawyers at Johnson & Biscone, P.A., are established advocates for consumers who do not even know that they are being taken advantage of by a car dealership. This is a newer area of law in which we are handling numerous cases. We believe dealerships should not be getting away with defrauding customers, and we are aggressively pursuing them in order to hold the dealerships responsible for the fraudulent contract inclusions. Many contracts for vehicles include costs for upgrades and products that are never actually included on the vehicle. For instance, the price for a protective leather coating has been included in the cost of the vehicle — but how would a consumer know if this has or has not been completed? We can review your auto purchase contract and determine if fraud has occurred. If we determine, with the help of our experts, that fraud has occurred, we can take immediate action against the dealership. When handling auto fraud cases, it is especially important to utilize experts in the field in order to establish that fraud has occurred. Our firm employs the services of nationally known experts in the area of auto fraud. 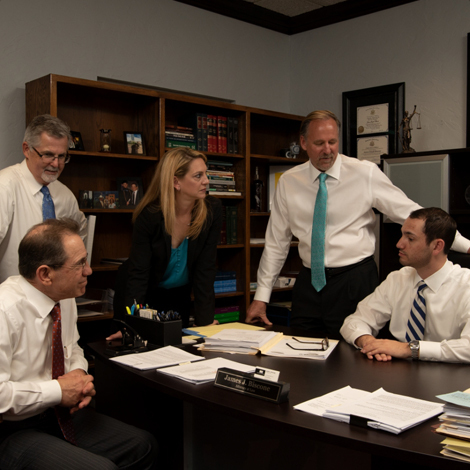 They are exceptionally reliable resources and we involve them throughout the course of our handling of your case. To learn more about auto fraud and to have a lawyer review your contracts, schedule an initial consultation with our Oklahoma City auto fraud lawyers at Johnson & Biscone, P.A. by calling 405-232-6490. Our firm handles auto fraud cases on a contingency fee basis, which means that there are no attorney’s fees unless there is a recovery for you.